Migrino is our free viewer that allows 3D visualization of exported simulation results from MigriX and Migri. Share your results with partners and colleagues. 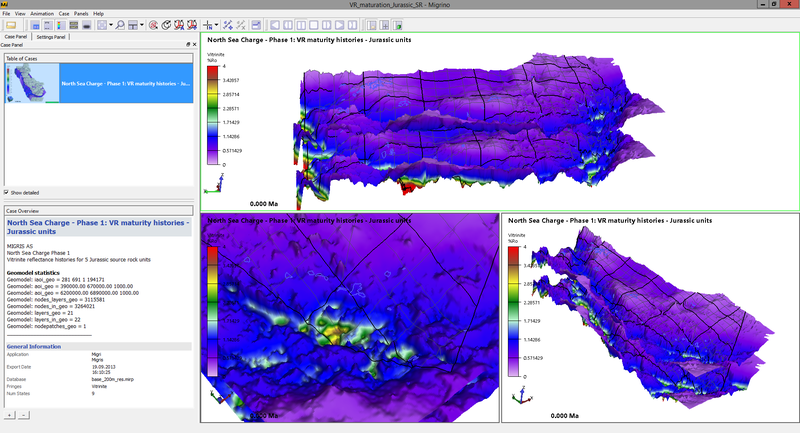 Migrino user interface with model animation of Vitrinite Reflectance result. Windows (32 bits & 64 bits) | Linux installer (64 bits).